Your Loxone Smart Home thinks like you. It knows your needs and performs actions according to the season, weather, presence and your lifestyle. It’s the smart home with the highest IQ. A home that will take care of thousands of actions each year, giving you back time to enjoy the beautiful things in life. The smart home has many definitions. With so many solutions out there claiming to make your home smart, it can be difficult to choose the right one. The Smart Home solution from Loxone isn’t about complicated control panels to turn your lights on. On the contrary, it simply knows what to do and takes care of thousands of tasks for your and your family throughout the year. It looks after the heating, lighting, shading and more – all by itself. This gives you more time for your family, friends or just time for yourself to relax. In short; No Gimmicks. Real Smart Homes. Your smart home knows what to do. It knows what to do in the morning or in the evening while you’re cooking, entertaining, or just relaxing. It chooses from endless possibilities. It plays the music you each want to hear – even if it is something different in each room. If you want it to be, that is. It creates the right atmosphere with lighting moods. 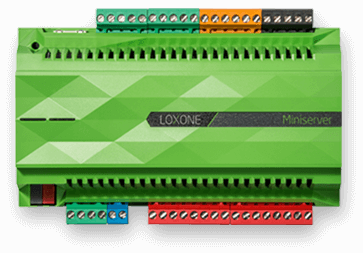 This unparalleled level of intelligently-automated comfort only exists with Loxone. You may have heard us talking about Loxone homes as ‘Real Smart Homes’. What does that really mean, though? What makes a Loxone Smart Home different to other solutions and what does it take to be classed as a ‘real’ smart home? With our free compendium, you have all the answers in your hands, and more. Read about the features and benefits that you can expect from a real smart home, in a nutshell. We can tell you one thing in advance: It’s more than just controlling your lights with an app! It’s the indescribable feeling that comes with having over 50,000 everyday tasks taken off your hands every single year. It’s the pure pleasure of having time to focus on the important things in life. Living in a Loxone Smart Home is like flying on autopilot! If you ever want to change something, a single click on a switch or tap on the Loxone App is enough. Loxone’s connected home controls allow you to control lights, music, blinds, and more. Living in a Loxone Smart Home is like flying on autopilot! If you ever want to change something, a single click on a switch or tap on the Loxone App is enough. Your homes security is always looking out for you. While you’re asleep, it keeps watch, alerts you to any intruders and sounds the alarm in an emergency. It can warn you about dangers such as fire or water leaks and lights a path to safety. Loxone gives you around the clock peace of mind, it keeps you secure. A Loxone Smart Home puts the brakes on energy costs. When not in use, energy guzzlers around the home are turned off, lights are switched off, the temperature is lowered and any music is stopped. It is also possible to run appliances such as the washing machine or charge your electric car using free solar energy. Loxone makes your home safer, more comfortable and energy-efficient. It saves you time and handles tasks for you, allowing you to enjoy living in your home. Your home will think like you, bring you happiness (and will probably make the neighbors a little jealous too!). Loxone Smart Home is the most intelligent home automation system on the market today. It combines all the components of your home into one central system, or ‘brain’, which we call the Miniserver. The Miniserver enables intelligent communication between different systems and devices in the home including the smart thermostat for heating and cooling, lighting, blinds, windows and doors, locks, cameras, music, appliances, and switches. Interested? Then let’s talk about making your home smart! We’ll be happy to answer your questions about life in a Loxone Smart Home and help you find the perfect Loxone Partner. Download your smart home compendium. Explore the benefits of a Real Smart Home! If you have any questions, we are happy to answer them!